Is Hotforex a scam broker? Should You Try It Out? Starting out in the FOREX market can be quite scary for many reasons. First, we have the fact that there are many new concepts that are necessary to grasp and understand before making any profit becomes possible, which is a direct consequence of it being a trade born from technologic modernization. Not only that, but there are many other factors related to operating correctly, including choosing the right FOREX broker. 1 That is the reason why this HotForex review becomes a necessity. 2 1. What Is HotForex? 2.1 2. Hotforex platforms Available. 2.2 When it comes to HotForex, it offers two platforms: MetaTrader 4 and WebTrader. 3 4. HotForex spread and Commissions. 3.2 6. What account should we open in hotforex? That is the reason why this HotForex review becomes a necessity. Online FOREX brokers are a must if you want to engage in the currency exchange as a viable career. However, scams can be anywhere. You see, FOREX is short for “Foreign Exchange”, a self-explanatory name as it deals with the trade of currencies from around the world. In said market, you exchange between currency pairs, buying Euros with USD or selling those USD for Yuan, any combination you want. Your profit will be generated by the difference in asking and bidding prices and the volatility present in the industry. However, as simple as it may sound, engaging in that form of trading requires many different skills and a vast knowledge. What you must be able to comprehend is so extensive that it could constitute a short career on any university. That is why, if you’ve been reading about the FOREX market, you’ll run into many titles and guides looking for the best broker available. FOREX brokers are companies that act as intermediaries between you and the market. Basically, you give them the money you wish to invest, tell them what to do, and they will follow your orders and give you any profits made from them. Because of that fact, it’s of the outmost importance to choose the right FOREX broker. And, one of the best ways to ensure you do so is to read reviews on each one that interests you. By doing so, you will avoid scams and inexperienced firms that will make you lose more money than what you’ll make, which is a consequence of the growing popularity of the market. Because of the availability internet allows for, any Google search will provide you with hundreds of brokers for you to choose from. As such, if HotForex has caught your attention, then follow us in this HotForex review and draw your own conclusions on whether or not you wish to open an account with this broker. As we mentioned earlier, HotForex is a FOREX broker. That is, an entity in charge of managing traders’ investments and transactions following their specifications. HotForex is a trademark from HF Markets Europe Ltd, which is an investment firm based in Cyprus and dedicated to providing worldwide brokerage services. One of the main characteristics of HotForex is that it is a no dealing desk (or NDD), which means it operates directly on the market and not in an operations table. Thanks to many factors we’ll evaluate later on in this HotForex review, such as the HotForex spread, we’re talking about a company that has been quickly earning a name for itself among FOREX traders. While that is a significant point if you’re pondering on creating an account, it’s necessary we differentiate truth from hype. So far, we may establish that it is a popular FOREX broker, which is a fairly good starting point. Next up in our HotForex review, we shall evaluate the platforms provided by HotForex for traders to make the most out of their investments and the company’s services. When we talk about platforms, it’s important to understand that we are talking about the “engine” that powers the broker’s functionality. Each platform is different and offers their own way of handling trades, data display, charts and graphs, and even the user interface shown to customers. As such, it is always important to point out which trading platforms are used by each broker we’re reviewing since it’ll help you choose whether or not we wish to user HotForex or what account should we open in hotforex. When it comes to HotForex, it offers two platforms: MetaTrader 4 and WebTrader. MT4 is a comforting name to read because it’s, by far, the most used platform for broker services, and is one that many traders are used to. What that means is that you’ll become accustomed to a popular platform, which will make switching between brokers a less traumatic experience. Additionally, MT4 offers versions for Android and iOS. Additionally, HotForex operates through STP/ECN execution. That allows for traders to use techniques such as scalping and hedging, with a 1:1000 max leverage. Finally, we have the VPS service for MetaTrader, which makes it so that automatic trading is available 24/5 and, if you open an account for more than $5,000, the service will be provided for free. Being a Cyprus broker, HotForex is regulated by the Cyprus Securities and Exchange Commission, or CySEC. In any review, it’s worth noting any regulation the broker is subjected to since it provides a safety net for clients in case of any significant accidents the broker may suffer. As such, it is a very good sign that this broker is subjected to a legitimate regulator instead of being “regulated” by some entities that only “sell” licenses or, even worse, unregulated. It is licensed under the number 183/12 with a permit for servicing internationally. Additionally, HF Markets Europe Ltd complies with every regulation applied by the EU, including the MiFID. 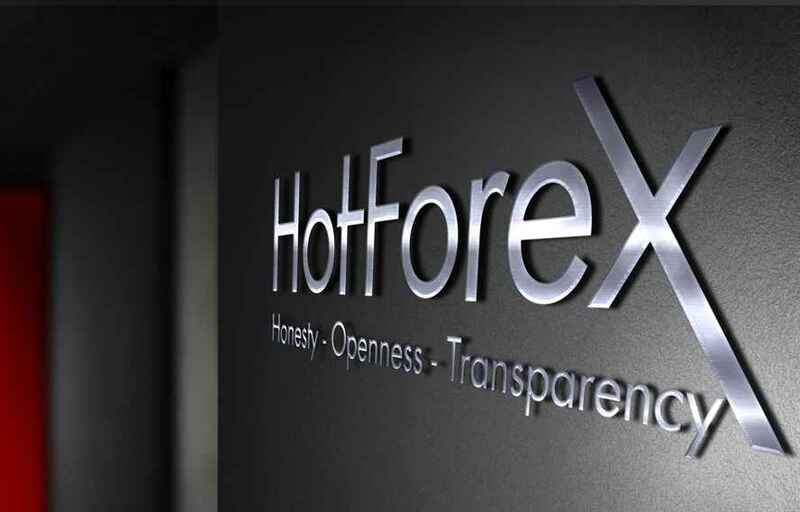 Thanks to their compliance with the norms related to protecting investors, any account created with HotForex are independent from the broker’s own and are forbidden from being used to pay for the company’s expenses. 4. HotForex spread and Commissions. When we mention “HotForex spread”, it must be understood that “spread” is a term used as synonym with “commission”. You see, spreads are the difference between bidding and asking prices for a security or asset. The reason we mention that HotForex spread also refers to commissions or fees is that these quantities are the “price” paid for trading currencies. FOREX brokers secure part of their earnings from spreads by keeping the difference between prices. From that point, it is easy to figure out why it’s important to notice the spreads offered by each broker. HotForex spreads come in a variety of forms, each of which depending on the account you choose. They range from 0.4 pips to 1 pip, excluding a couple of account options which offer zero spreads. Note that spreads are measured in “pips”; pips measure the fourth decimal in the price. For instance, if you buy something or 1.8934 and sell the same asset for 1.8930, the spread is 4 pips. When it comes to withdrawing your funds from HotForex, the company offers a significant number of options to choose from, making it a fairly comfortable broker to work with. HotForex withdrawals can be made with Visa, Mastercard, Maestro, American Express, and even their own HotForex Mastercard. Apart from credit cards, they accept Neteller, Skrill, and Payoneer for electronic payment options; also, depending on your location, bank wire transfer may or may not be an option. If you wish to request a HotForex withdrawal, you must login into your account and choose “Fund Withdrawal”. It’s worth noting that HotForex withdrawals submitted before 10am will be processed between 7am and 5pm on the same business day. Additionally, clients who wish to withdraw a sum below the minimum must cover all charges associated with the request. 6. What account should we open in hotforex? One of the most important questions in case this HotForex review convinces you to open your own account is which account to open. Given the many, many options offered by the company, each with its own advantages and features, this will be a fairly long point. Nevertheless, it may be one of the most important points (if not the most). The micro accounts are those accounts best suited for small, individual investors who have little idea on what the FOREX market is about and wish to invest just a little bit of money. The minimum deposit for a micro account is of $5 and the HotForex spread for them starts at 1 pip but are variable. The maximum leverage is 1:1000 and up to 150 micro accounts may be open at the same time. The platforms offered are MetaTrader 4 and WebTrader. Auto accounts can be greatly appreciated by traders with little time to dedicate to sitting in front of their screens and trace each order. The special, Auto accounts offers automatic orders over the same platforms, MT4 and WebTrader, and their mobile applications. Because of that, it’s the best option to keep several orders running simultaneously. The minimum deposit for opening an auto account is $500 and it offers up to 300 simultaneous accounts. The HotForex spread starts at 1 pip and offers a 1:400 leverage. Easily, one of the most advertised accounts both in HotForex reviews and on their website. The Zero account offers zero HotForex spread for a low cost which makes it available for every trader. However, thanks to the lack of a spread, scalpers can exploit this account to the best of its limits. As with the rest of the platforms, you can use MT4, WebTrader, and their mobile versions. What’s best, for a zero HotForex spread you will only need to pay a $100 minimum deposit. Additionally, the leverage for the zero account is of 1:200, and you may keep between 60 and 500 accounts open simultaneously, depending on certain conditions. PAMM accounts follow the zero accounts in price, with a minimum deposit of $250 to open one. Not much can be said about these accounts other than pointing out the 1:300 leverage, limitless maximum commerce size, and 350 maximum simultaneous orders. The platforms are the same as in zero accounts but with a minimum spread of 1 pip. The trading instruments include indexes, commodities and Share CFDs. Premium accounts are best suited to confident traders who feel comfortable with FOREX trading and investment. The minimum investment for a premium account is $500 and it offers a variable HotForex spread starting at 1 pip. However, it offers every trading instrument available in HotForex and allows for up to 300 simultaneous open accounts with a leverage of 1:400. This type of account is very similar to the Premium accounts thanks to its variable HotForex spread which starts at 1 pip, 300 maximum open accounts, and 1:400 leverage. However, it’s different when it comes to two important points: trading instruments and minimum deposits. When it comes to trading instruments, it’s worth noting that it covers FOREX and Bitcoin. This is a rare occurrence in FOREX brokers, and it’s certainly a welcoming breath of fresh air. On the other hand, we have the minimum deposit. While it partially stays at $500, this is for strategy providers; when it comes to followers, the minimum deposit lowers to $100. Fixed accounts are also for confident investors, given a $500 minimum deposit similar to Premium accounts. However, Fixed trading accounts offer fixated HotForex spreads beyond market conditions. That is the reason for the elevated price. Additionally, you get access to every trading instrument, a 1:400 leverage, and up to 300 simultaneous orders. The last paid and economically profitable account offered by HotForex is the VIP account. The VIP HotForex account is one for big investors who are confident and experienced enough to deposit big amounts to earn even bigger profits and who are willing to run the enormous risk associated with this kind of investments. And we’re not exaggerating when we say this one’s for big investors. The minimum deposit for a VIP account $20,000, but it offers variable HotForex spreads beginning at 0 pips for FOREX and a 1:300 leverage. The platforms available for these accounts are the same, but they also offer every trading instrument available by HotForex. All of which you may take advantage of thanks to its 400 maximum simultaneous accounts and orders. And, if none of that is enough, HotForex really tries to impress in this account offering private appointments with Stuart Cowel, the Senior Analyst for the company with more than 25 years’ worth of experience in the business. Last but not least, we have the DEMO HotForex account. DEMO accounts are, admittedly, a great plus in any review, and this HotForex review is no exception. DEMO accounts let traders open up a free account with which they can simulate market conditions and orders. Essentially, they’ll be playing a game where they act like they’re giving orders to the broker but without having to worry about HotForex spreads or losing any money. As such, a DEMO account is always welcomed with open arms. If you’re wondering “what account should we open in hotforex?”, then this one is a great place to start. Apart from their main accounts, HotForex has a great and wide selection of handy tools available for you. Said tools will help you greatly, as long as you understand them and use them correctly. Please, keep in mind that these are not miracle tools nor they will do the entire job for you. Nevertheless, if used correctly, they might as well earn you big sums. Charts, indicators, and calculators can be downloaded directly in MT4 as a complete package. The tools are selected to suit a wide range of requirements, from scalpers to long-term traders. A customizable market scanner for MetaTrader 4 that automatically analyses the market and your watch lists to alert you whenever an opportunity arises or a Fibonacci pattern is identified, charting them so you may visually recognize them as well. As mentioned previously, you may book an appointment with HotForex’s senior analyst Stuart Cowell. However, another interesting tool is the daily market analysis by Cowell himself. Available for Android and iOS, the HotForex app will let you receive market rates and analysis through your smartphone whenever you are. A calendar showing global economic indicators and events which will let you anticipate future movements in the market. If you wish to stay alert on how the market is doing but you have no time to constantly check the app, then you might prefer to opt for the SMS Service to get your market alerts in your cellphone. This tool allows for following market news and indentifying the most important currency movers. It will also gauge the status of the market by breaking down the positions of clients and analyzing the volumes traded. If you wish to secure and protect your automated strategies, or if you simply want to receive a reduced latency for trades, HotForex offers a Virtual Private Server for its clients. This is a way to make ordering more efficient by reducing the hassle to a single click. That means that scalpers will greatly benefit from this tool and it wouldn’t be surprising if it was tailored for them. As mentioned in the account types, HotForex lets investors automate their trading through the use of trading signals (both free and paid) brought from the MQL5 Community, which is one of the largest communities for copy-trading. The Client Area is way to manage all of your accounts, withdraw and deposit funds, access trading tools and educational resources, and many other possibilities. Starting the list of calculators, this one let’s traders calculate their lot size by specifying how much they’re prepared to risk as well as other related parameters. It allows for traders to plan which parts of their positions should close once certain points are reached to gain the best return to risk ratio. It identifies resistance and support levels after you enter Highs, Lows, and prices for specific time frames. Lets you calculate the value per pip in an account’s currency by entering it along with the currency pair being traded and its position. Lets you control the risk you’re running by calculating the size of your position. This calculator allows for the calculation of the lot size through the specification of the percentage of your balance you’re prepared to risk as well as opening and stop loss and currency pair. By entering the high and low, traders will be able to calculate the four basic support and resistance retractment values in various percentages, at 61.8%, 50%, 38.2%, and 23.8%. As we mentioned earlier, the reason this HotForex review and any other review for any other FOREX broker is so important is that it lets you filter the scams and lousy brokers which can make you lose a lot of money. After reading and evaluating each section on their homepage, as well as looking up several other reviews on the website, each praising the HotForex spread or hating it, the same with the HotForex withdrawal, we managed to sum up an objective review on the broker. What’s left to say is that it seems like a broker which is worth, at least, a try. And it wouldn’t be hard to do so, thanks to their DEMO and micro accounts which are, admittedly, a great feature which makes it stand out from several other brokers. Exness is the best broker in 2019. What is HotForex spread and commission? What regulations does XM have?